Ferrari has presented its F138, the car with which the Italian squad hopes to return to championship glory in the 2013 Formula 1 season. The car, whose name is a combination of the current year and a tribute to the V8 engines that will be used for the last time this season, is the 59th grand prix single-seater produced by the Maranello-based squad. The F138 has been developed in the Toyota windtunnel in Cologne following Ferrari’s decision to shut down its own unit in order to upgrade it. Ferrari described the F138 as an ‘evolution’ of the F2012, with pullrod suspension retained at the front and rear. It has however made changes at the rear of the car to allow the exhaust layout to be changed. The air intake above the cockpit and the sidepod intakes have also been revised to boost the car’s aerodynamics. The car is the product of two distinct design groups: one group working on the F138, the other on the team’s 2014 car. Ferrari is seeking to hit the ground running with its new car after a dismal performance by its predecessor when it made its testing debut last year. 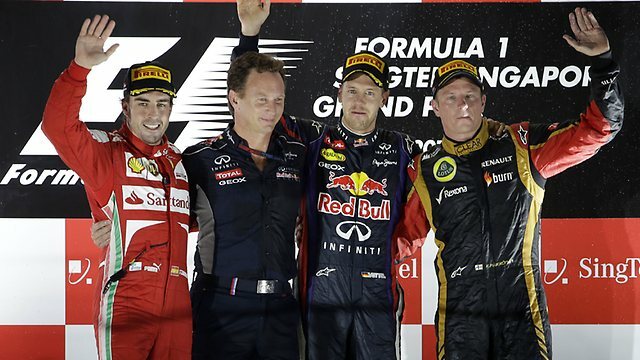 Despite that, the historic Italian outfit managed to stay in the championship fight until the end of the year, with Spaniard Fernando Alonso losing out to Red Bull rival Sebastian Vettel in the final race of the season in Brazil. “The key objective that we must have is of immediately delivering a competitive car to our drivers,” team boss Stefano Domenicali acknowledged. “Unfortunately in recent years we have at the beginning of the winter unfortunately not been able to be right on top of what we are doing. Massa will be tasked with driving the F138 for the first time next Tuesday at Jerez.